A diamond ring, a gold bracelet, or a sapphire pendant - a piece of jewelry has the power to make most of us go weak in the knees. They are our treasured possessions. 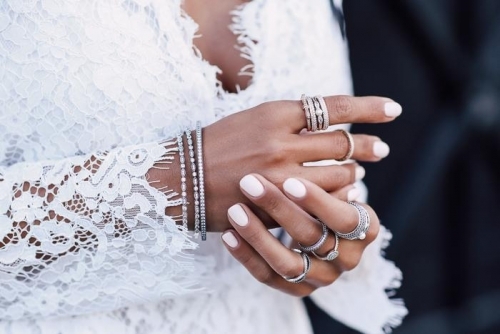 While buying jewelry is a personal choice, and you should always add to your collection what you love, knowing a few simple rules can really help you pick pieces that compliment your skin tone and truly make you shine. Besides, classic jewelry is not a fad, it's forever. Keep the following rules in mind and invest in jewelry that will stay timeless and always make you the cynosure of all eyes. To begin, a quick recap of the litmus test of knowing your complexion better. Observe your veins closely to know whether you have a cool or warm skin tone. Look at the veins on the inside of your arm. If you have bluish or purple-colored veins, you have a cooler skin tone. Those with cool skin tones will have pinkish or rosy-red undertones, whether they are dark or light skinned. Most of us have a cool skin tone and can see that slight flush on our skins when we look into the mirror. White gold, silver, and platinum compliment this skin tone beautifully. Pearls lend a natural luminescence and bright gemstones look striking when paired with cool skin tones. Experiment with blue sapphire, amethyst, aquamarine, ruby, emerald, opal, and tanzanite jewelry to create an exotic look. People with w arm skin tones have veins that appear green and have golden or apricot undertones to the skin. Traditional yellow gold jewelry compliments this skin tone and imparts radiance to the skin. Gemstones in hues of the sun like orange, reds, browns are like the second skin for warm tones and look bright and elegant. A pair of gold earrings or a ruby finger ring is absolutely recommended for people with warm-hued skin. If you love jewelry as much as I do, amp up your style game by sporting accent jewelry pieces in yellow diamond, garnet, mandarin, morganite, peridot and ruby of course. For the rest of you, who have veins that are somewhat blue and somewhat green, you need not worry. You are blessed with the rare neutral skin tone and will stun in whatever jewelry you wear. Go to a boutique and try out some delicate jewelry, or, invest in some gorgeous fashion rings online. 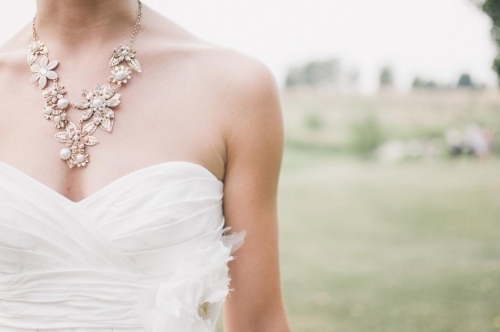 All jewelry looks good on you, so feel free to experiment. A tried-and-tested trick off the book is to match your jewelry to your eye color. You can choose to emphasize your eyes by wearing similar shades of jewelry or add some drama by contrasting your jewelry with your eye color. Bring out the oceanic blue of your eyes by wearing gemstones like blue topaz and sapphire, or wear contrasting colors like pink sapphire or spinel. Compliment your brown eyes with garnet and ruby neck pieces and earrings, or make a bold statement with a blue sapphire ring. 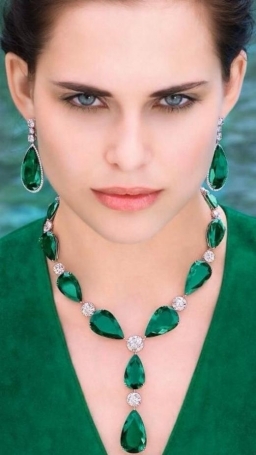 Emeralds and Jade are also known to bring out the beauty of green and hazel eyes. Haven't you heard this one before? Turns out, Diamonds are a girl's best friend after all. Diamonds look lovely on all skin tones and imparts a healthy glow to your skin. However, do not overdo diamond jewelry. Use a fine mix of bold and dainty pieces to tie your look together. So if you are wearing diamond chandelier earrings, do not wear a heavy neckpiece, if you can, avoid it completely. Need more than one piece of jewelry? Stick to a dainty necklace and a bold finger ring, or the glamorous earrings-bracelet combination. And, finally the most important tip. Sure, the right jewelry can do wonders for your skin, eyes and overall look, but nothing quite sparkles like confidence. Whatever jewelry you possess, shower some love on them. Store them safely and always keep jewelry away from water. Remember, these rules are only there to help you out. You don't have to abide by them. Go ahead and experiment if you like. When you love a piece of jewelry, hold it against your face. If it makes your skin appear luminous, enhances your features and brings a wide smile to your face, and you don't have to break the bank to own it, then, buy it, wear it, and flaunt it with confidence, cause that's the best accessory you can wear.